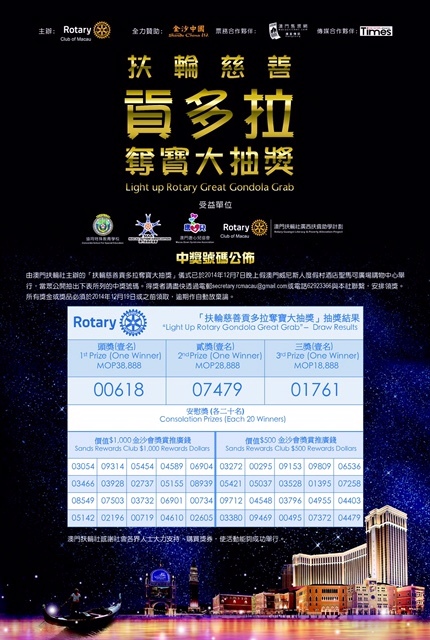 “Light up Rotary Great Gondola Grab Charity Draw ‘ ceremony organized by the Rotary Club of Macau was held in the evening of December 7, 2014 at Venetian Macao Resort Hotel St. Mark’s Square Mall. 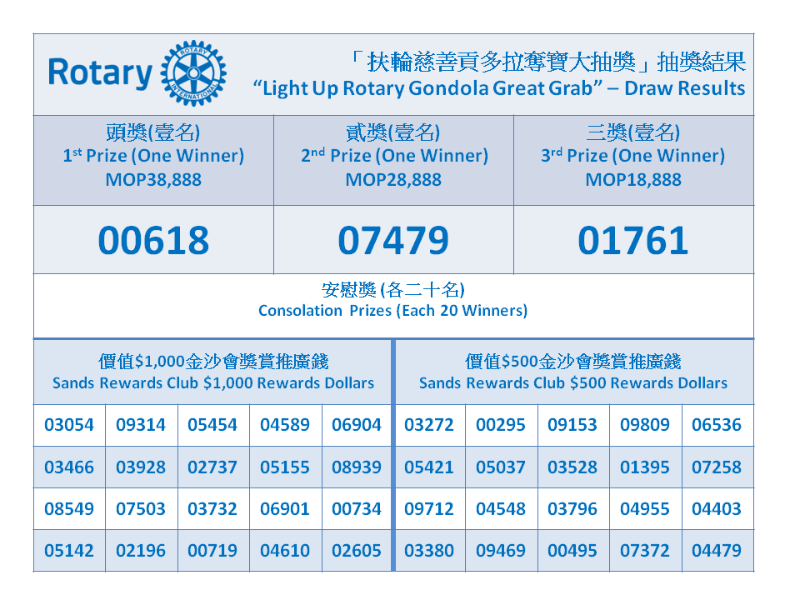 The winning numbers were drawn publicly ,now listed as in the following table. 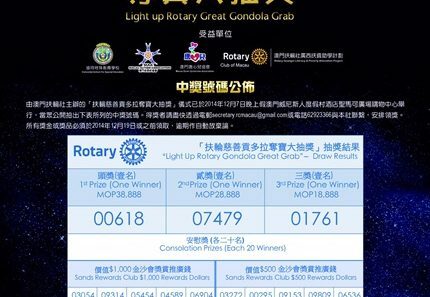 Winners as soon as possible via email to secretary.rcmacau@gmail.com or mobile 62923366 contact with the club to arrange prize collection. All prizes or prize must be redeemed on or before December 19, 2014, or may be forfeited. 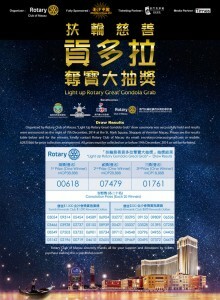 Rotary Club of Macau wishes to thank the event full sponsor Sands China Ltd and the support of the community through ticket purchase in making the event most successful.